A "rad" little package! 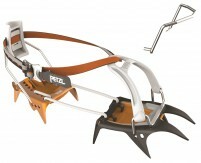 The Petzl RAD (Rescue And Descent) System is designed as a quick deploying kit for skiers traveling in steep terrain or on glaciers where they may need to rope up, rappel, or perform a partner rescue from a crevasse. The kit is comprised of 30 meters of specially designed 6mm cordage, a Tibloc ascender, Micro Traxion pulley/ascender, 3 Attache carabiners, a 120cm sling, and compact storage bag. 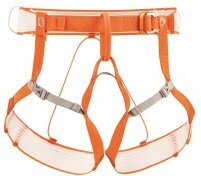 You can attach the whole thing using sewn loops to a harness or pack. The kit also can disappear into your pack with a small foot print and relatively light weight, especially when compared to the competing components and heavier rope. 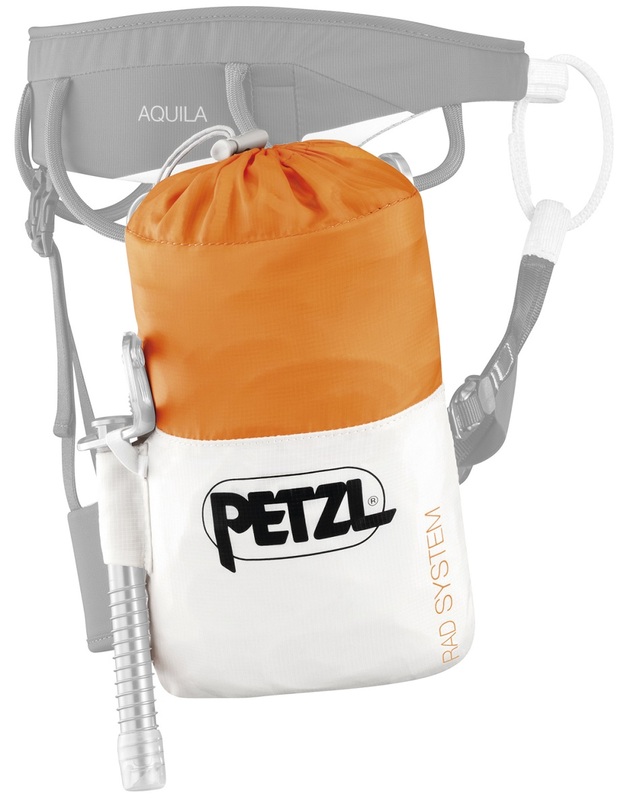 The RAD system has everything you need to quickly set up a haul to extract your partner from the gaping jaws of an icy crevasse or rappel over the exposed lip of the cliff in your line. It would probably also work well as a clothes line on hut trips. 30m RAD LINE is 6mm, just enough for raps and glacier rescue. Tibloc ascender included for ascending the rope for self-rescue. 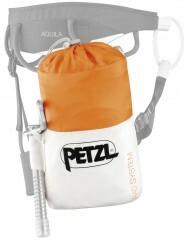 Includes three premium Petzl carabiners and a 120cm sling. 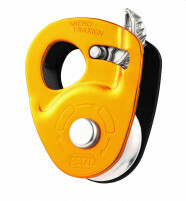 Micro Traxion pully for setting up a rescue hauling system. Contained in a nylon storage bag with drawstring closure. CE EN 564 certified cord. Notes A lightweight package that covers your needs. Bottom Line Bag o' fun! I love the rad line, it's amazingly light and packs down tiny, allowing you to move much lighter and faster on glacial terrain. what I don't love is the price, $459 for 60m of this stuff is ridiculous, the edelrid and mammut counterparts are less than half the price. On a side note the edelrid's twin rope classification is pretty cool. 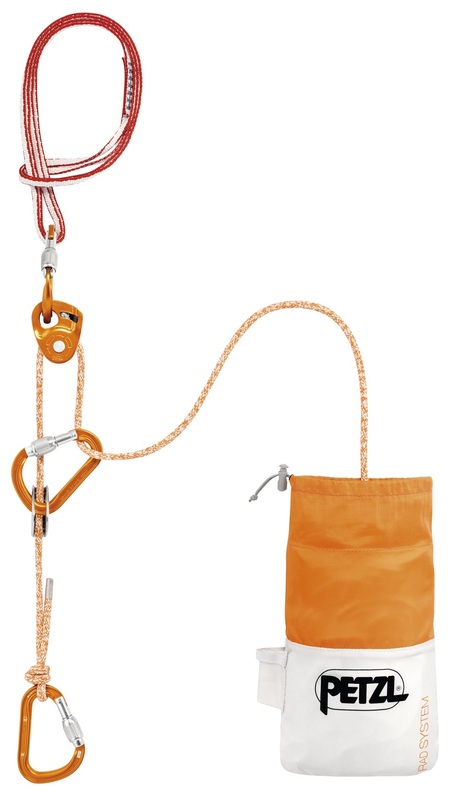 Attache carabiners are great, the best pears in the business, tibloc is great too (though it will slip unless its given a pull to lock it onto the rope). The micro traxion greatly increases efficiency over other methods of progress capture. All in all a solid kit, but the price is outrageous.